Each Thursday we let you know about all the boating and fishing events over the upcoming weekend, but this Thursday there is a lot to cover. We are in the thick of the US winter boat show season. This weekend there are boat shows just about everywhere, including Hartford, Baltimore, Chicago (Strictly Sail), Louisville, Seattle, Chattanooga, Oklahoma City, Ft. Lauderdale (Trawler Fest), Spokane and Corpus Christi. 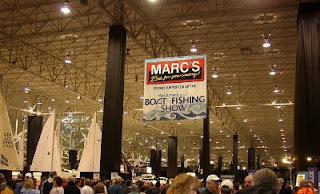 Details about all these events are on our calendar of boat shows. 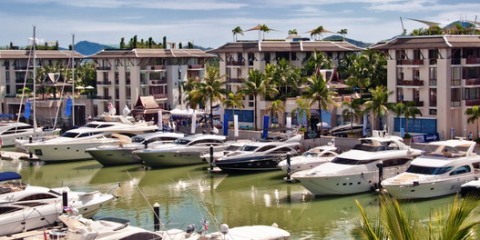 Boat International’s 2011 “10 Billion Dollar List” showcases the largest privately owned luxury yachts. 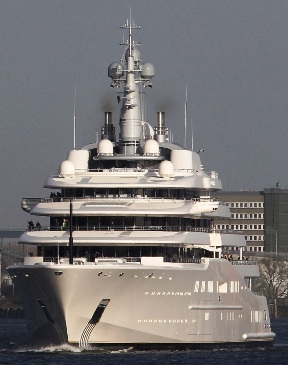 Russian billionaire Roman Abramovich's 533-ft Eclipse. 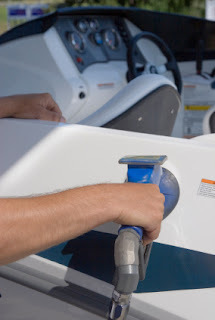 Many readers of the Daily Boater and FirstBoat.com own a perfectly fine center console fishing boat, a skiff, a deck boat, or maybe even a 30 to 40 foot cruiser. Some of our readers simply hope to own a boat some day, or are currently between boats due to the economy or other circumstances. 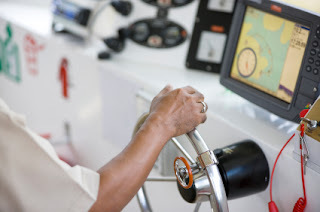 But there is an elite group of yacht owners that probably don’t read boating news on the Daily Boater – they instead have people that read boating publications like ours for them. These heads of state and titans of industry own luxury yachts that are more like cruise ships than boats, only without all the little rooms and bunk beds. These are the folks whose yachts turned up on what superyacht magazine Boat International calls the 10 Billion Dollar List. 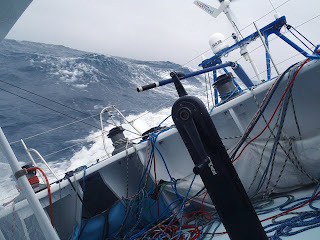 An answer to that age-old question, "What Side of the Buoy Do I Go On???" Good Lord, what side of this buoy do I go on? We will address #1 in a later column. We will address #2 right now and forever! There are literally dozens of boat shows this month - this weekend alone there are nine of them! 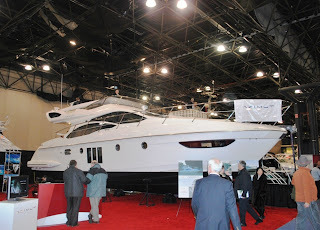 We checked out one of the biggest this past Thursday - the New York National Boat Show - which is going on through Sunday. Hopefully this post and our pictures will give you a taste of the show and maybe even encourage you to attend before it ends. We took 100s of pictures of the show, and a few of them were worth sharing. Our entire album of pics from the boat show is on our FirstBoat page on Facebook. There are at least nine boat shows going on this weekend, and even more over the next few weeks. What a great excuse to come in from the cold! Has the cold weather and snow got you down? Is a vacation not in your immediate future? Then you need to go to a boat or fishing show this weekend! 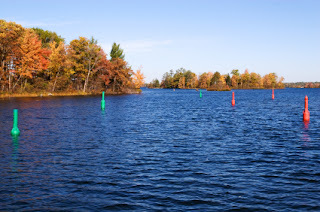 They are virtually everywhere over the next few weeks, and there's no better place to plan your next purchase or to get warm and dream about being out on the water with family or friends. Here's what's going on this weekend and in the weeks ahead. 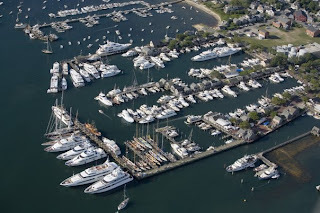 To thank the boating community for their votes, Nantucket Boat Basin and Marinalife are holding a sweepstakes for a weekend experience on Nantucket valued at $5000. Wondering what five grand gets you on the historic island often referred to as the Grey Lady? 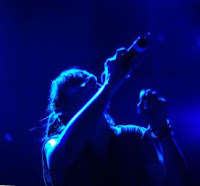 Last week, we wrote about various techniques you could try before throwing in the towel and calling for help, whether that be the towing services or your brother-in-law. 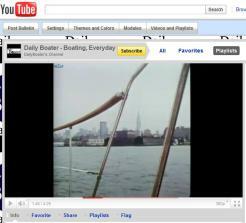 (See Daily Boater, Boat Stuck? Help Yourself, 1/10/2011.) Mechanical issues are one thing. Electrical are another. This column is about that. 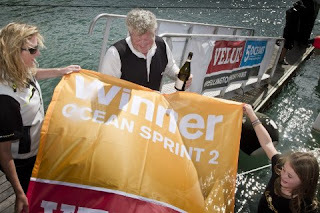 This weekend we learned the winners of the second sprint of the VELUX 5 OCEANS. The five-sprint solo around the world yacht race is considered one of the most challenging competitions in all of sports. 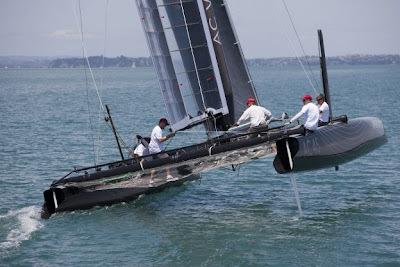 Brad Van Liew, the 42-year-old from Charleston, South Carolina, has now gone two-for-two as he was the first to sail into Wellington, New Zealand - the finish line for the second sprint. Polish sailor Zbigniew Gutkowski, known as Gutek, came in second place in this leg, arriving in Wellington less than 24 hours after Van Liew. As we mentioned Thursday, there are a TON of boat shows this weekend, but only one is within a couple hours drive of the offices of the Daily Boater. So we checked out the Providence Boat Show yesterday and thought we'd bring you a taste of it here. We know our readers who enjoy sailing in New England will be happy about the fact that there are more and bigger sailboats at the show this year. If you're within an hour drive of Providence (or any boat show - there are, again, a lot of them this weekend), you should check out the boat show. 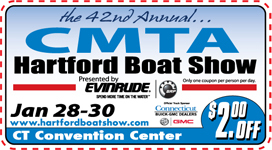 If you are near us, we also suggest the Hartford Boat Show in two weeks, the Northeast Fishing Expo in mid-February, and the big New England Boat Show in Boston at the end of February. Each week we post a nautical tune to help start your weekend the right way, even if you can't get out on the boat. This week for our Sea Song we wanted to acknowledge Rod Stewart, who turned 66 on Monday. When we googled him to confirm his age, we were surprised to learn that he just announced a tour with Stevie Nicks yesterday. But let's get back to the 1970s and today's Sea Song of the Week. There are more than a few boat shows happening right now. Chances are there's one near you. Two European power boat magazines, Motor Boat and Yachting and its sister publication Motor Boats Monthly, announced the winners of the 2011 Motor Boat of the Year Awards this week. 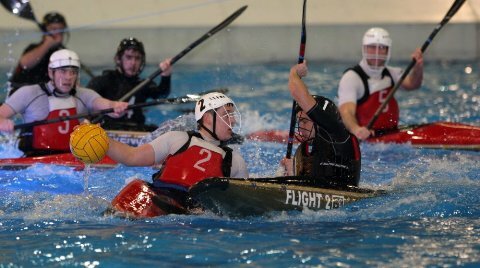 There were boats chosen in several categories and announced in a ceremony Monday evening at the swanky Savoy Hotel in London. Many boating VIPs were in attendance, as the week-long London International Boat Show, which began on Friday, 7 January 2011, was happening just a few miles away at ExCel London. So which boats were honored (or should we say honoured)? DoD photo by PO3 Michael D. Blackwell II, U.S. Navy. 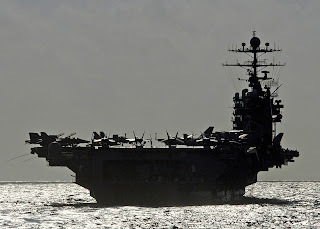 This week for our Sea Song choice we wanted to pay homage to singer Kenny Loggins who turns 63 today. As the main subject of the fictional series Yacht Rock a few years ago, it's somewhat ironic that none of Kenny's greatest hits are actually about yachts, boating or sailing - or even the sea (Kenny Loggins fans are welcome to correct this via comments below). Luckily, he did perform a little diddy back in the 80's that features lots of footage of planes flying on and off a boat. It seems like the Fall boat show season just ended yesterday, and just like that, it's boat show season again. This weekend you'll find boat shows in Nashville, Phuket (Thailand) and Toronto. But most notably, Friday the 7th is the first day of the Tullett Prebon London International Boat Show. If you, as an avid boater, could live anywhere in the United States, where would you choose? Boating Magazine recently investigated nautical communities throughout the United States, looking for the best places for boaters to call home. The article's author, Mike Tyler, looked at several area's mix of boating opportunities, boat-friendly regulations, water access, availability of waterfront homes, health of the local economy and overall lifestyle for boaters. 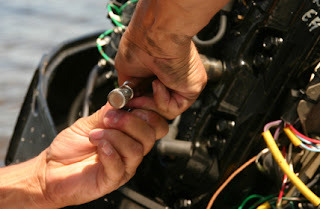 Can we reduce boating accidents in 2011? 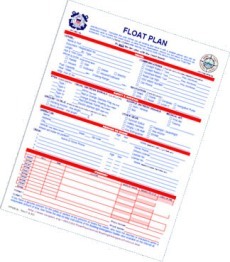 Can we reduce boating deaths? Can we be better boaters? Wear one of these, please! The headline of a recent article on the topic of boating safety from Florida's Sun-Sentinel definitely raises eyebrows. The leading cause of death is drowning and could be averted by simply wearing a life jacket.